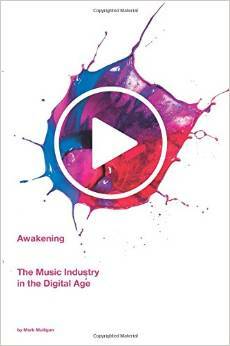 Is the UK Music Industry Sleepwalking into a CD Crisis? An upfront note: though this post focuses on the UK market, the principles, as you will see, apply across most music markets. CD sales are falling at an alarming rate: though digital album unit sales grew by 5.6 million, CD album sales fell by 12.3 million. So the digital growth was less than half of the physical decline in absolute terms. A worrying ratio at this stage in the development of the digital market (i.e. when it should be maturing, not just getting started). The single continues to drag revenue growth down. Digital singles boomed to 176.6 million, a whopping 56% greater volume than combined physical and digital albums. And yet their value is close to just a fifth of album revenues. Despite solid digital album growth, unit sales of digital singles increased by about 17 million, three times the units growth rate of digital albums. 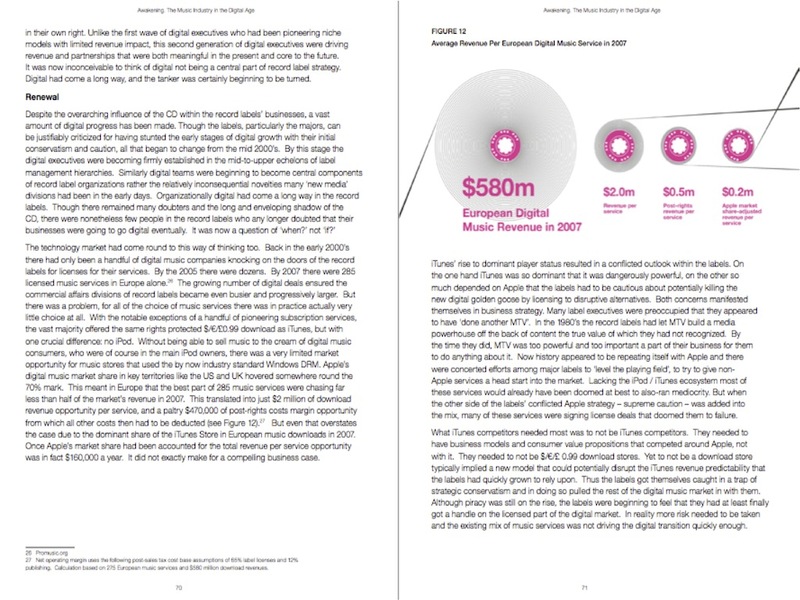 And though the spend increment is much greater for albums – and this is of course the lens labels will typically view the trend – the unit growth is the best indication of consumer behaviour. i.e. music buyers are still throwing their weight behind digital single purchases at a quicker rate than they are digital albums. The CD buyer is withering on the vine. Most importantly of all, the CD buyer is becoming an increasingly rare breed. There are fewer shops on the high street, which is where the majority of CD buyers still buy their albums. HMV – the UK’s leading music retailer by some distance – has been suffering well documented struggles. It is possible that HMV will disappear from the high street entirely in the next couple of years. Though this won’t be an extinction event for CD buyers, it will however leave a gaping hole in music revenues (possibly a quarter of all album sales). The majority of these Digital Refusniks who haven’t seen any reason to start buying CDs online – let alone downloads – are unlikely to suddenly switch even if they have to. More likely they will just drift out of the market entirely. These are the passive music fans who only buy the occasional album, don’t have an iPod, don’t want to spend £9.99 a month on music and who listen to a lot of radio. With so much more choice of high-ish quality music on digital radio and TV these consumers won’t even feel that much of a dent in their music behaviour when they no longer buy CDs. The CD is disappearing from the living room. I’ve been beating this drum for years now but still don’t get the sense the risk is being taking seriously. Living room tech spend has shifted firmly to the TV and music’s weakening foothold is either a docking station for the digital crowd, a streaming player for the really tech savvy or, in the vast majority of cases, a dusty old midi player which sooner or later is going to find itself in the bin or the garage. When that happens music will have disappeared out of the living room (and before anyone makes the case for music on the TV, that permanently relegates music not so much to poor relation status, as crazy aunt locked away in the attic. People buy TVs to watch stuff on them, not to have a blank screen while music plays on the poor quality speakers). Digitize the relationship. Before an analogue customer base can be migrated to digital, the relationship with those customers must be digitized. In fact most HMV music customers have no relationship with HMV at all, or rather it is a series of brief encounters that start and finish with a cash till transaction. 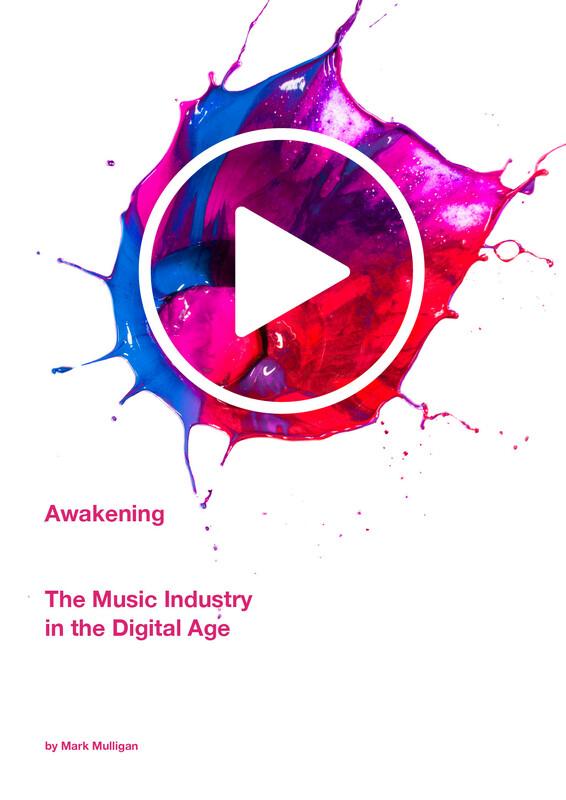 First HMV – and indeed high street music retailers anywhere – need to start finding a way to establish digital relationships with these customers and then use that as the platform for a digital revenue strategy. As my astute former colleague James McQuivey is fond of pointing out, Netflix built is success on the platform of digitizing its customer relationships. It is time for high street music retail strategy to follow suit. (And by the way, simply trying to push consumers to the online stores isn’t the answer). A format succession strategy needs putting in place. The Digital Refusniks consumers need their hands holding as they are gently coaxed into the digital realm. They need convincing that the ephemeral web has tangible benefits comparable to that of the CD. That might mean delivering things like better artwork etc. but to get this right we need to know a lot more about the emotional triggers that CDs press for this consumers. 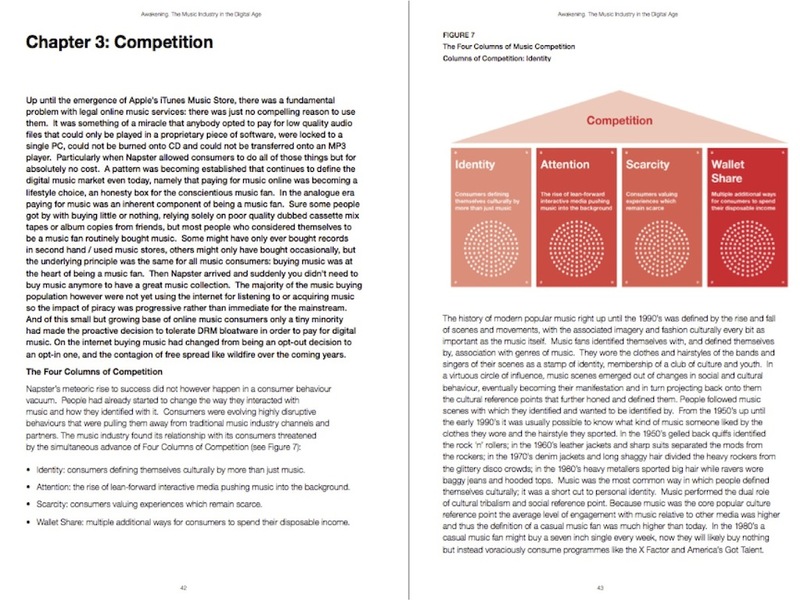 A proper human needs assessment needs conducting, onto which a human-needs based product strategy can then be mapped. In all likelihood this will result in a couple of hybrid physical-digital products which will deliver all the benefits of CDs with a steady – but not overwhelming – stream of digital content to allow digital to ‘show some leg’. A new beachhead in the living room. As I proposed 4 years ago, the music industry (principally the label and retailer elements) need a new living room strategy which should take the form of a new piece of highly affordable Hi-Fi equipment. While its encouraging to hear that Google looks set to build upon the fine work of Sonos with some streaming music kit, the Digital Refusniks specifically need a hybrid device i.e. one that plays CDs too. Something that looks contemporary enough to warrant replacing the old midi system and is cheap enough to shift millions of units. You’ve probably guessed by now that this will need to follow an Amazon Fire approach of loss leading on the hardware to establish the Trojan horse for content sales. But it is an investment that will pay off. The Digital Refusniks are a challenging and unfashionable demographic and the counter-case for addressing them is that in 10 years or so they’ll have disappeared from the market anyway. My conservative estimates put the loss in the region of 15% to 20% less total UK recorded music revenue in 2016. The industry may well be able survive its revenue forecasts being that much smaller, but a) does it want to? and b) HMV can’t. What’s Going on Between the Government and the British Music Industry? Most readers will be aware of the Memorandum of Understanding signed between leading UK ISPs and the UK music industry body the BPI, with the government and Ofcom effectively acting as mediators. The MOU focuses on pursuing co-regulatory solutions, including a trial in which ISPs send letters to file sharers. There’s been lots of vociferous debate about how far government involvement should go, and whether the UK should ultimately end up with a ‘Three Strikes’ policy whereby repeat serial offenders get their broadband disconnected. Though the debate has raged fiercely, the perception has been that the government has been sympathetic to helping protect the music industry’s IP. Indeed the Culture Secretary Andy Burnham has spoken of the importance of protecting the UK’s Creative Industries and even talked of the government’s “serious legislative intent” with regards to the issue. So imagine most people’s surprise when the Intellectual Property Minister David Lammy threw a spanner in the works with an interview with the Times in which he appeared to rule out any legislative solution and compared file sharing to stealing soap from hotel rooms. This triggered a stern rebuttal from the BPI. And to be fair, the soap comparison is a poor one. The core business of hotels is not selling soap. Stealing the soap is not stealing a hotelier’s core business. This highly emotive issue has transcended music business and IP issues, and has firmly entered the realm of national politics, which isn’t necessarily a good thing for either the BPI or the ISPs. Politically motivated decisions and regulation do not often deliver good business results. And with the economy where it is, and, as my colleague Ian Fogg pointed out, with the UK government sensitive to its fragile popularity ratings, passing non-consumer friendly forceful legislation probably isn’t at the top of the agenda. Fascinating piece here on the RIAA about to face the intellectual force of Harvard’s legal prowess. The RIAA has mysteriously avoided suing Harvard students in its copyright infringement campaign, supposedly for the sake of avoiding having Harvard Law School defend its students and shoot down the RIAA’s approach. Now one of Harvard’s law professors, Charles Nesson, has got tired of waiting and has decided to go after the RIAA. He’s picked up a number of reasons why the RIAA’s approach is unconstitutional and it will be interesting to see how this plays out. What is clear with the RIAA’s strategy is that it is a PR disaster and it’s neither reducing file sharing nor saving recorded music sales. Some time, hopefully sooner rather than later, the RIAA will adopt a more considered approach and take a leaf out of the IFPI’s book. In fact, they’d do well to take the BPI as a role model and focus on acting as a conduit for getting ISPs etc licensed with compelling alternatives to piracy.